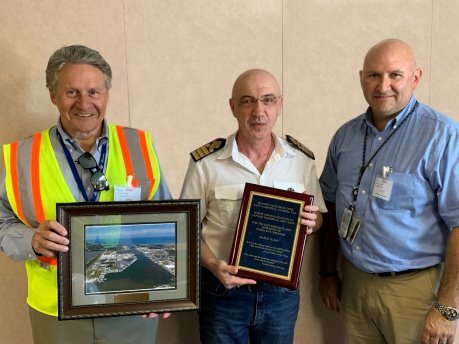 Port Canaveral cargo operations reached another highpoint recently with the arrival of the Aframax tanker ProStar at North Cargo Berth 2 for its first delivery in North America to discharge 442,131 barrels of jet fuel at Seaport Canaveral. Built in 2018, the 820-foot-long, 144-foot-wide ProStar, with a crew of 23 and a summer dead weight tonnage of 115,000 tons, is the first Aframax vessel to visit the Port. The ProStar, which sailed 45 days from its loading port in South Korea, departed Port Canaveral on March 16 for New York.